Home > Septic Blog > Did You Know You Can Take Your Waste Directly to a Sewage Treatment Facility? Did You Know You Can Take Your Waste Directly to a Sewage Treatment Facility? When you have a septic system, it creates waste. There is nothing that can be done to avoid this. Having your septic system pumped regularly can eliminate septic waste, but you may have other waste, such as grease from your grease trap or other septic waste that needs to be disposed of. Whether you have waste from your home, properties you own, or a business, you can take the waste to a sewage treatment facility to be properly disposed of. Sewage treatment is very beneficial because it properly deals with all kinds of sewage and keeps it from becoming a hazard. When sewage is left on your property, it can leak into the ground and cause a lot of problems. It can contaminate your drinking water and make people sick. It can also cause harm to any pets and animals you have on the property. Safe drinking water is important for animals, too, and contaminated water can also make them sick. If you have a garden, contaminated water can also harm the food you are growing, making it unusable. 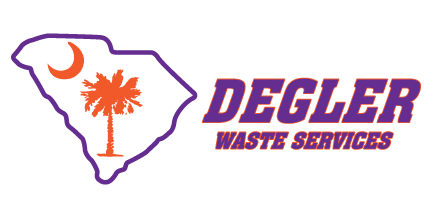 If you have waste you need to dispose of, contact us today at Degler Waste Services. Our sewage treatment facility can handle any amount of waste you have, whether it is a small amount or a very large amount. We do require approval before you bring any waste to our plant, so just give us a call, and we can answer all of your questions and give you approval so you can get all set up to deliver to us. Our pricing is very reasonable, and we have excellent customer service. We strive to help all of our customers to the very best of our ability, and we make it our number one goal for you to have a great experience working with us. We can help you dispose of waste before it becomes a hazard.